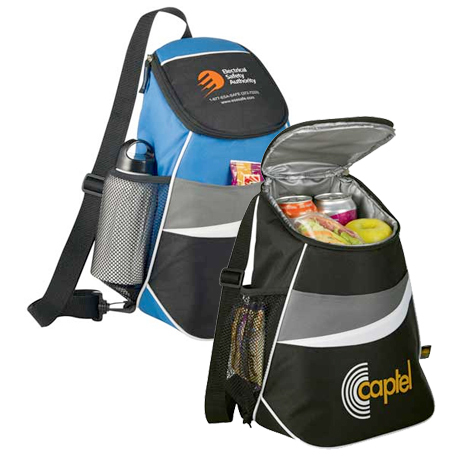 Place an order for the promotional 12-Can Cooler Sling right away! Cooler slings are useful giveaways. Count on 12-Can Cooler Sling to promote your brand. They will highlight your logo efficiently. 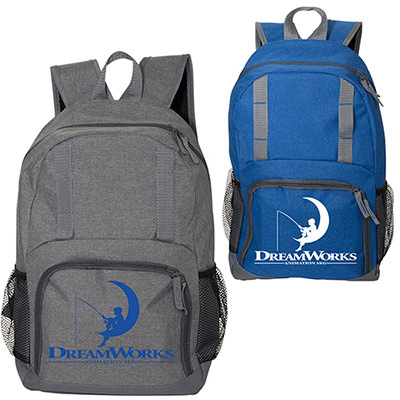 Made from high quality materials, this sling backpack features a zippered main compartment that can hold up to 12 cans. 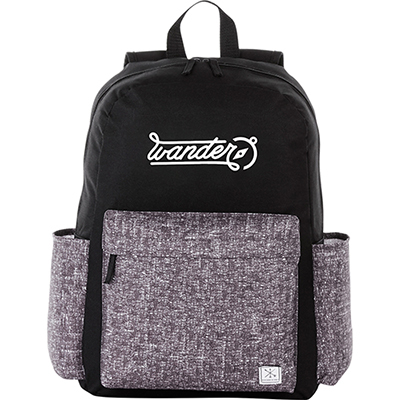 It also features an open front pocket, a side mesh pocket and a single adjustable sling shoulder strap. It has an ultra safe leak-proof PEVA lining for better storage. 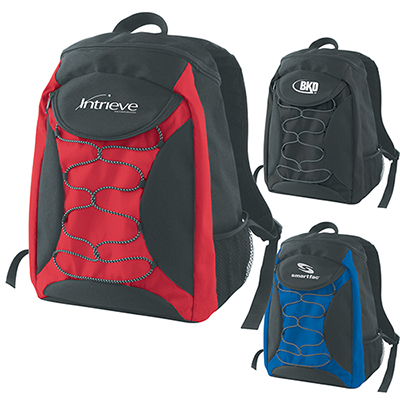 Imagine the coverage your brand will receive whenever recipients use these backpacks! What’s more, they will be pleased with the appreciation received from others! Order right away! Custom 12-Can Cooler Sling – California Innovations is an evergreen giveaway! The perfect cooler for your next outing!